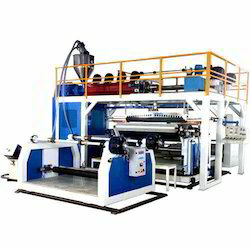 Providing you the best range of pvc film coating machines, paper coating machines, film coating machine, wedding card coating machine, carbonless coating machine and metallic card coating machine with effective & timely delivery. 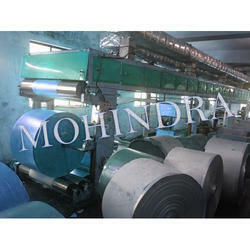 We are pleased to introduce that, we are one of the leading manufacturers of PVC Film Coating Machines, Paper Coating Machine etc.Mohindra Mechanical Works is Asia largest manufacturers and exporters of Printing and Packaging Machine. 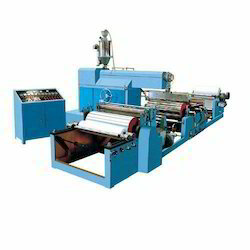 We are pleased to introduce that, we are one of the leading manufacturers of Paper Coating Machine, Paper Coating Machine etc. 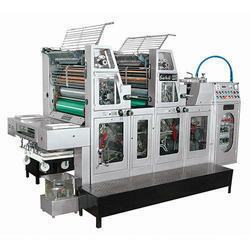 Mohindra Mechanical Works is Asia largest manufacturers and exporters of Printing and Packaging Machine. 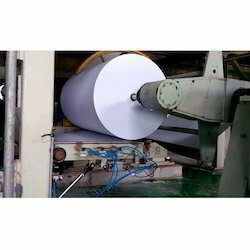 We are pleased to introduce that, we are one of the leading manufacturers of Film Coating Machine, Paper Coating Machine etc. Mohindra Mechanical Works is Asia largest manufacturers and exporters of Printing and Packaging Machine.This tapes machinery is completely designed at our own production unit with the usage of advanced quality components and modern technology as per the quality standards defined. 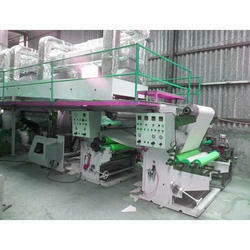 Because of its amazing features & quality, this tapes machinery has become the first selection of the patrons. We try to assure our clients that the range of tapes machinery given by us is excellent on counts of performance, durability and its quality. We are pleased to introduce that, we are one of the leading manufacturers of Wedding Card Coating Machine, Paper Coating Machine etc. 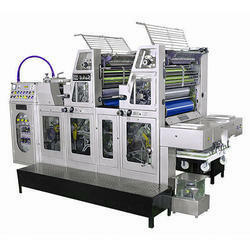 Mohindra Mechanical Works is Asia largest manufacturers and exporters of Printing and Packaging Machine. We are pleased to introduce that, we are one of the leading manufacturers of Carbonless Coating Machine, Paper Coating Machine etc. Mohindra Mechanical Works is Asia largest manufacturers and exporters of Printing and Packaging Machine. We are pleased to introduce that, we are one of the leading manufacturers of Metallic Card Coating Machine and Paper Coating Machine etc. Mohindra Mechanical Works is Asia largest manufacturers and exporters of Printing and Packaging Machine. 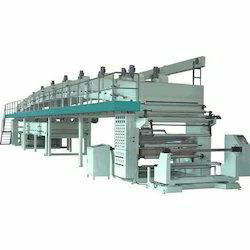 We are pleased to introduce that, we are one of the leading manufacturers of Dip Dying Coating Machine and Paper Coating Machine etc. 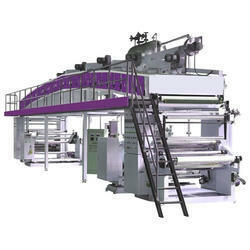 Mohindra Mechanical Works is Asia largest manufacturers and exporters of Printing and Packaging Machine. We are pleased to introduce that, we are one of the leading manufacturers of Fluorescent Paper Coating Machine, Paper Coating Machine etc. 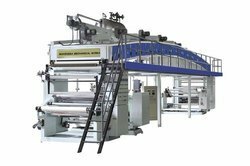 Mohindra Mechanical Works is Asia largest manufacturers and exporters of Printing and Packaging Machine.This is manufactured by making use of superb components along with modern technology at our own manufacturing unit. For the conformity of its quality our quality department perform series of tests o this coating machine. 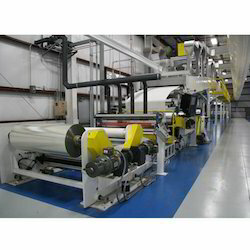 Along with that, we offer our coating machine according to the necessities of the customers at nominal rates. We are pleased to introduce that, we are one of the leading manufacturers of Pearl Coating Machine, Paper Coating Machine etc. 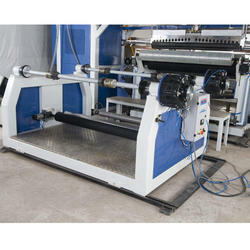 Mohindra Mechanical Works is Asia largest manufacturers and exporters of Printing and Packaging Machine. We are pleased to introduce that, we are one of the leading manufacturers of Colour Printing Machine, Paper Coating Machine etc. Mohindra Mechanical Works is Asia largest manufacturers and exporters of Printing and Packaging Machine. 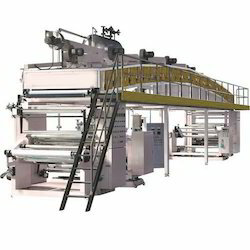 We are pleased to introduce that, we are one of the leading manufacturers of DG Coating Machine, Paper Coating Machine etc. Mohindra Mechanical Works is Asia largest manufacturers and exporters of Printing and Packaging Machine. We are pleased to introduce that, we are one of the leading manufacturers of Aluminium Foil Coating Machines, Paper Coating Machine etc. 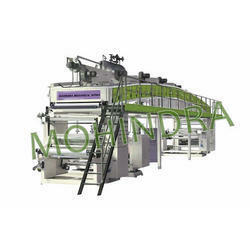 Mohindra Mechanical Works is Asia largest manufacturers and exporters of Printing and Packaging Machine. Offered Coating Machinery is completely designed at our own production unit with the usage of advanced quality components and modern technology as per the quality standards defined. 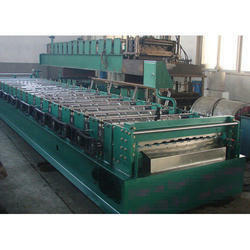 Because of its amazing features & quality, this coating machine has become the first selection of the patrons. We try to assure our clients that the range of coating machines given by us is excellent on counts of performance, durability and its quality. We are pleased to introduce that, we are one of the leading manufacturers of Coating Lamination Machine and Paper Coating Machine etc. 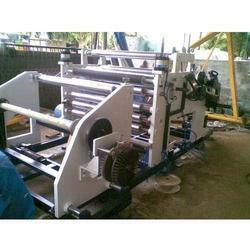 Mohindra Mechanical Works is Asia largest manufacturers and exporters of Printing and Packaging Machine. We are pleased to introduce that, we are one of the leading manufacturers of Water Based Coating Machine, Paper Coating Machine etc. 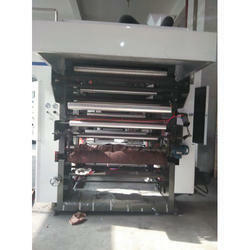 Mohindra Mechanical Works is Asia largest manufacturers and exporters of Printing and Packaging Machine. We are pleased to introduce that, we are one of the leading manufacturers of China Clay Coating Machine, and paper Coating Machine etc. Mohindra Mechanical Works is Asia largest manufacturers and exporters of Printing and Packaging Machine. We are pleased to introduce that, we are one of the leading manufacturers of PVC Coating Machine, Paper Coating Machine etc. Mohindra Mechanical Works is Asia largest manufacturers and exporters of Printing and Packaging Machine.Our offered range of wax coating machines is accurately designed at our own well-furnished manufacturing unit consists of latest technology and equipment. Moreover, we dispatch these wax coating machines from our end after examine it properly. Along with that, our reputed customers can get the offered range of wax coating machines numerous stipulations at affordable rates. We are pleased to introduce that, we are one of the leading manufacturers of Craft Paper Coating Machine, Paper Coating Machine etc. Mohindra Mechanical Works is Asia largest manufacturers and exporters of Printing and Packaging Machine. 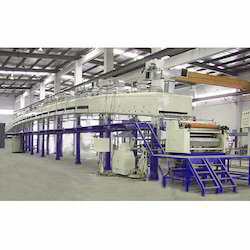 We are pleased to introduce that, we are one of the leading manufacturers of Both Side Coating Machine, Paper Coating Machine etc. Mohindra Mechanical Works is Asia largest manufacturers and exporters of Printing and Packaging Machine. We are pleased to introduce that, we are one of the leading manufacturers of Metallic Wedding Card Sheet Coating Machine, Paper Coating Machine etc. Mohindra Mechanical Works is Asia largest manufacturers and exporters of Printing and Packaging Machine. We are pleased to introduce that, we are one of the leading manufacturers of Silicon Coating Machine and Paper Coating Machine etc. Mohindra Mechanical Works is Asia largest manufacturers and exporters of Printing and Packaging Machine. We are pleased to introduce that, we are one of the leading manufacturers of Single Side Coating Machine and Paper Coating Machine etc. Mohindra Mechanical Works is Asia largest manufacturers and exporters of Printing and Packaging Machine. We are pleased to introduce that, we are one of the leading manufacturers of Color Coating Machine and Paper Coating Machine etc. Mohindra Mechanical Works is Asia largest manufacturers and exporters of Printing and Packaging Machine. We are pleased to introduce that, we are one of the leading manufacturers of Metalized Window Wash Machine, Paper Coating Machine etc. Mohindra Mechanical Works is Asia largest manufacturers and exporters of Printing and Packaging Machine. We are pleased to introduce that, we are one of the leading manufacturers of Metalized Window Machine, Paper Coating Machine etc. Mohindra Mechanical Works is Asia largest manufacturers and exporters of Printing and Packaging Machine. 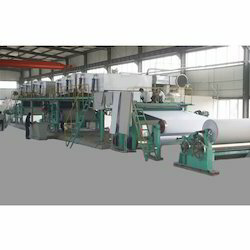 We are pleased to introduce that, we are one of the leading manufacturers of Release Paper Coating Machine Paper Coating Machine etc. Mohindra Mechanical Works is Asia largest manufacturers and exporters of Printing and Packaging Machine. We are pleased to introduce that, we are one of the leading manufacturers of Thermal Paper Coating Machine, Paper Coating Machine etc. 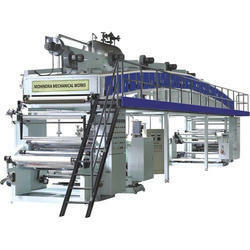 Mohindra Mechanical Works is Asia largest manufacturers and exporters of Printing and Packaging Machine. 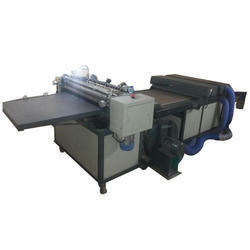 Looking for Paper Coating Machine ?